Putting the SOCAR Carbamide Plant into operation is an important step towards increasing Azerbaijan’s high-tech export, expert in economic issues, doctor of economics Elshad Mammadov told Trend on Jan. 17. 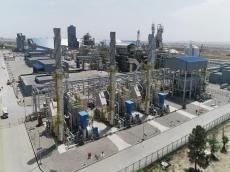 “The SOCAR Carbamide Plant is part of the Azerbaijani government’s strategy to increase investment flows to high-tech sectors of the economy, in particular, the matter rests in investments in the country's oil refining sector,” the expert said. “Most of Azerbaijan’s natural resources are exported as raw materials. The country's leadership sets the task of increasing the share of high-tech sectors in the export structure." “These are the areas in which Azerbaijan is investing from the point of view of the development of the oil refining sector,” Mammadov added. "This is one of the priority directions because in this segment of our economy there are many raw materials and while investing in processing, this allows having products with higher value added,” he said. “Putting SOCAR Carbamide Plant into operation is important to provide the domestic market with products and of course, to increase the export potential of the country." “The products related to oil refining are still quite popular although a steady trend is gradually emerging in the global economy associated with the formation of a new technological structure that will be connected with resource efficiency and a decrease in energy intensity,” Mammadov said. "The demand for oil and oil products will decrease in the future, but at the same time, from the point of view of oil refining, in a certain sense, the era of oil will be longer than the use and export of oil only as crude oil,” he said. “Therefore, it is necessary to invest in oil refining." In turn, former head of the Azerbaijan state oil company SOCAR Sabit Baghirov said that after the commissioning of SOCAR carbamide plant, a very good prospect opens up for Azerbaijan to increase the inflow of foreign currency into the country. “This plant will play a positive role in ensuring the proper level of current account surplus,” he said. "I think there are many business structures that were interested in the products of the plant and tried to establish some relations," Baghirov added. SOCAR carbamide plant, built on the territory of the Sumgait chemical industrial park, was commissioned on January 16. Azerbaijani President Ilham Aliyev attended the event. SOCAR President Rovnag Abdullayev and director of the plant Khayal Jafarov informed the president about the conducted work. The beginning of production at the SOCAR carbamide plant will eliminate the need for import of nitrogen fertilizers, thereby the country's foreign currency spending will decrease. By using 435 million cubic meters of natural gas as a raw material, the plant is capable of producing 650,000-660,000 tons of carbamide. Moreover, 70 percent of the production is envisaged for export, which will enable the country to receive additional income worth up to $160 million annually. The commissioning of this plant will play an important role in the development of agriculture in Azerbaijan. Urea fertilizers have the highest nitrogen content, therefore, they are considered the highest quality nitrogen fertilizer. This type of fertilizer, which quickly dissolves in water, is obtained as a result of the synthesis of ammonia and carbon dioxide. The demand for carbamide is associated with its low cost, economical transportation, convenient use, which contributes to high yields in agriculture. This product is also widely used in the production of other chemicals and pharmaceutics. Presently, SOCAR carbamide plant is the biggest project in the country, implemented in the non-oil sector. Its total cost is about 800 million euros. At the initial stage, the project was financed through the funds allocated from the state budget. During the construction of the plant, a number of international banks allocated funds in the amount of 500 million euros through the state guarantees.